President Barack Obama's nominee for Commerce Secretary, former Washington Gov. Gary Locke. WASHINGTON -- President Barack Obama introduced former Washington Gov. Gary Locke as his nominee for Commerce secretary Wednesday, trying a third time to fill a key Cabinet post for a country in recession. "I'm sure it's not lost on anyone that we've tried this a couple of times. But I'm a big believer in keeping at something until you get it right. And Gary is the right man for this job," Obama said, standing with the fellow Democrat in the Indian Treaty Room at the Eisenhower Executive Office Building near the White House. The president's two top earlier choices for the post dropped out — one a Democrat facing questions about a donor and the other a Republican who had a change of heart about working for a president from the opposite party — well before the Senate had a chance to confirm them. Obama praised Locke, a Chinese-American, as a man who shares his vision for turning around the moribund economy, and as someone who is committed to doing what it takes to keep the American dream alive. "Gary will be a trusted voice in my Cabinet, a tireless advocate for our economic competitiveness and an influential ambassador to American industry who will help us do everything we can, especially now, to promote our industry around the globe," Obama said. "I'm grateful he's agreed to leave one Washington for another," the president added. In turn, Locke said he was committed to making the sprawling agency an "active and integral partner" in advancing Obama's economic agenda, as the agency nurtures innovation, expands global markets, protects ocean fisheries and fosters growth. "The Department of Commerce can and will help create the jobs and the economic vitality our nation needs," Locke said. If confirmed by the Senate, Locke would assume control of a large agency with a broad portfolio that includes overseeing many aspects of international trade, oceans policy and the 2010 Census. Prompting outcry from Republicans, the administration recently took steps to assert greater control over the national head count. It has deep political implications because it is used to redraw congressional districts. "Who oversees the census won't change," White House press secretary Robert Gibbs said, adding that the director of it always reports to the Commerce secretary. "I think members of Congress and the White House both have an interest in a fair and accurate census count." 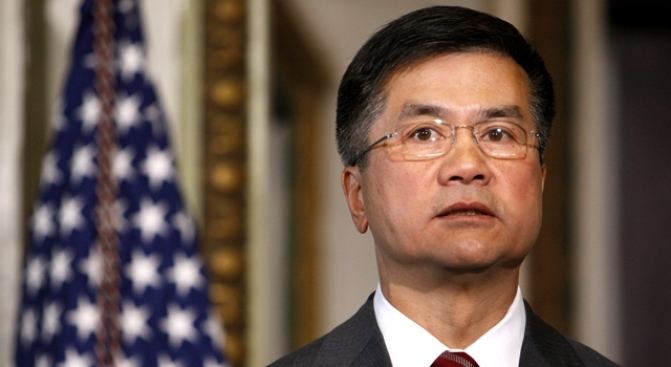 Locke, 59, was the nation's first Chinese-American governor, serving two terms in Washington from 1997 to 2005. He currently works for the Seattle-based law firm Davis Wright Tremaine on issues involving China, energy and governmental relations. Obama initially tapped New Mexico Gov. Bill Richardson, a Democrat, for the Cabinet post, calling him "uniquely suited for this role" and "a leader who shares my values." But Richardson withdrew in January, before Obama took office, after the disclosure that a grand jury is investigating allegations of wrongdoing in the awarding of contracts in his state. A month later, Obama announced that Republican Sen. Judd Gregg of New Hampshire had accepted the job. The president said Gregg was "the right person" to lead the agency and someone would be "a trusted voice" in the Cabinet. But a week after that, Gregg stepped down, citing "irresolvable conflicts" with the policies of the Democratic president. Even after Obama made Locke's selection official, his Cabinet still won't be complete. He still does not have a health and human services secretary; former Senate Democratic leader Tom Daschle withdrew his nomination for that post amid a tax controversy. Among those under consideration to replace him is Kansas Gov. Kathleen Sebelius. 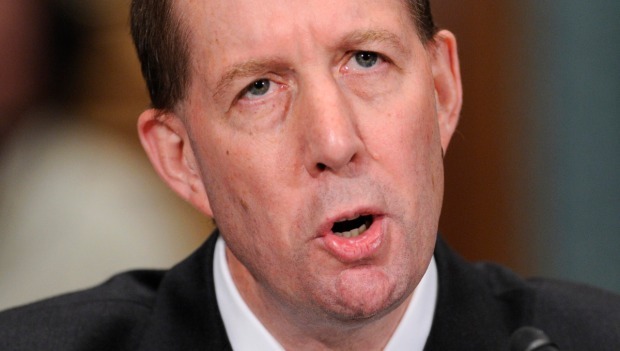 Locke still must get through Senate confirmation hearings to assume the post, and there are a number of issues over which he may face questions. He was briefly linked to the scandal over foreign contributions to President Bill Clinton's 1996 campaign. Locke denied any wrongdoing, and he subsequently returned some checks tied to people implicated in the matter. In December 1997, Locke's political committee was fined a maximum $2,500 by state regulators after it admitted breaking campaign finance laws during two out-of-state fundraisers in 1996. And in March 1998, state investigators cleared Locke of wrongdoing following complaints that he unlawfully took $10,000 in campaign contributions from members of a Buddhist church.